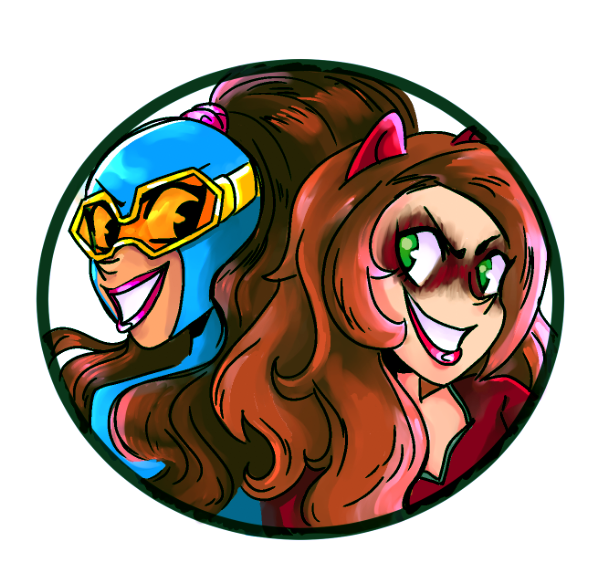 Welcome to a surprise women’s week in comic book review land! It’s a Fifth Wednesday, so there wasn’t much to choose from this week. But it just so happens that three of my favorite comics came out this week: Ms. Marvel, Runaways and X-23. And it just so happens that all three comics not only star mostly female main casts, but all three are also written by women! That’s pretty darn neat, if I do say so myself! 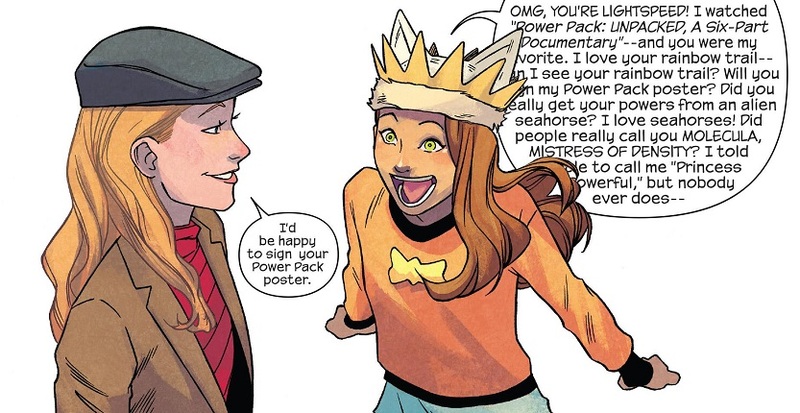 Rainbow Rowell’s Runaways wins Comic Book of the Week, beating out the grand finale of Power Rangers: Shattered Grid. Sorry to all Power Rangers fans. Meanwhile, for anyone curious, we don’t yet know the fate of the Mimic in the Extermination mini-series. But there’s no way that the universe keeps one of my all-time favorite obscure comic book characters alive now that he’s been dragged out of comic book limbo. His revival from totally obscure to slightly less obscure and totally badass is probably at an end. 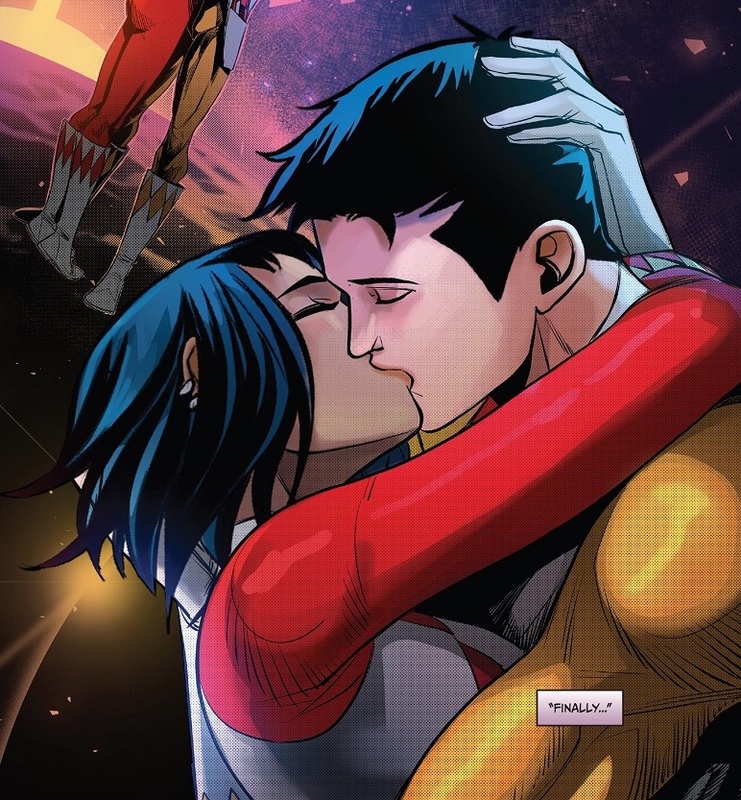 Comic Reviews: Mighty Morphin Power Rangers – Shattered Grid #1, Ms. Marvel #33, Runaways #12 and X-23 #3. In fun Sean news, I cashed in some credit card rewards points the other day and splurged on an Amazon comic book shopping spree! I’ve got a whole pile of awesome graphic novels coming my way, as well as the Gwenpool action figure. Because I have a problem. Meanwhile, we’ve got some pretty fun comics this week, including Bendis’ proper start on Action Comics, which I enjoyed more than Superman, and new issues for both Multiple Man and X-23, one of which I like a lot more than the other, and the answer may surprise me! Comic Book of the Week goes to the first issue of Mr. & Mrs. X because Kelly Thompson finally gave us a comic book wedding we could actually enjoy. Elsewhere, I am not going to read any of Marvel’s Infinity Wars stuff that’s coming out, no matter how much I like Darkhawk and Richard Ryder as Nova. So whatever shocking things are happening in that stuff is beyond me. I got tricked into reading Civil War II. Never again! Comic Reviews: Action Comics #1001, Amazing Spider-Man #2, Mr. and Mrs. X #1, Multiple Man #2, and and X-23 #2. We’ve got something of a light week this week, though a lot of nice comics came out. I think I need to start picking up some new titles after so many of my favorites got cancelled. I’m thinking of trying out the new Iron Man and Fantastic Four when they arrive, along with the big Justice League and Avengers relaunches in the coming months. Anybody have any comics they’d like to see me take on? Let me know in the comments! 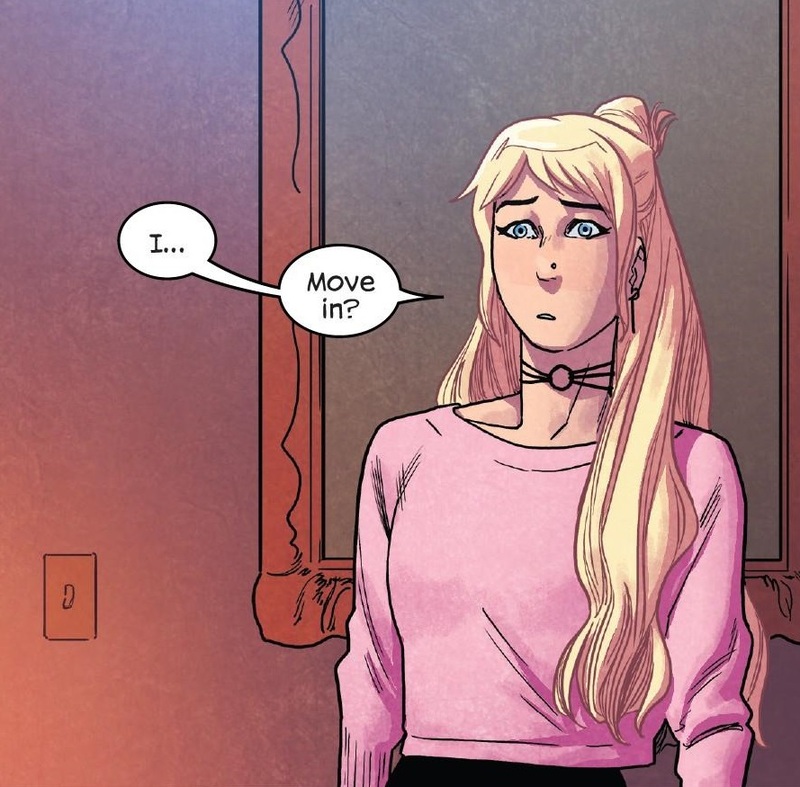 Comic Book of the Week goes to the first half of Runaways. It’s as darling as I could have hoped for. But then it just ruins itself! For my money, I would definitely prefer a guest appearance by Julie Power over Doctor Doom in any comic book. In comics I’m reading but not reviewing, another delightful issue of Rogue & Gambit hit the stands and it’s just as much fun as the rest. I can’t wait to see what writer Kelly Thompson does next for Marvel. 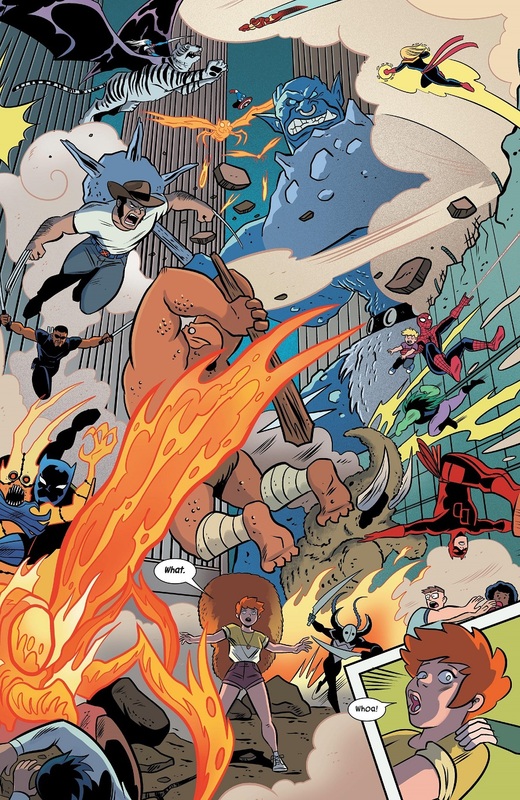 Also, I’ve dropped Marvel Two-in-One now that we know Fantastic Four is coming back. It’s an OK issue. Better than the previous issue, but I’ve decided to drop the series rather than continue to nitpick it to death. 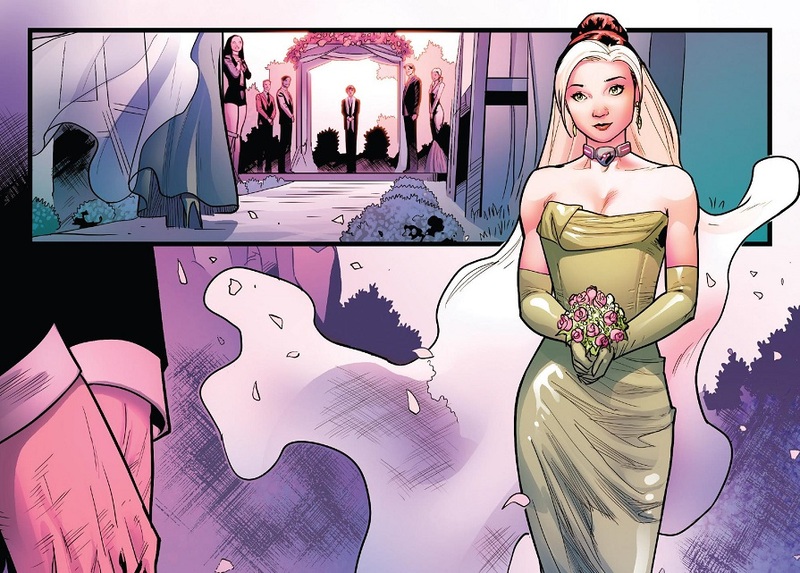 Comic Reviews: All-New Wolverine #33, Amazing Spider-Man #798, Batman #44 and Runaways #8.